Can you say four years of fabulous?! 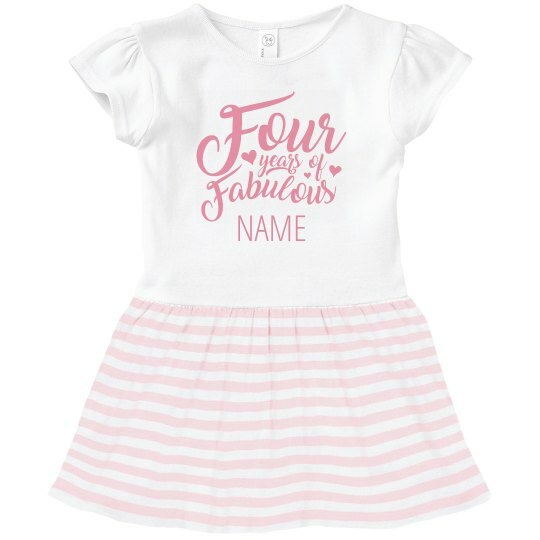 Customize this adorable toddler dress for your baby girls' 4th birthday party. Personalize it by adding her name!